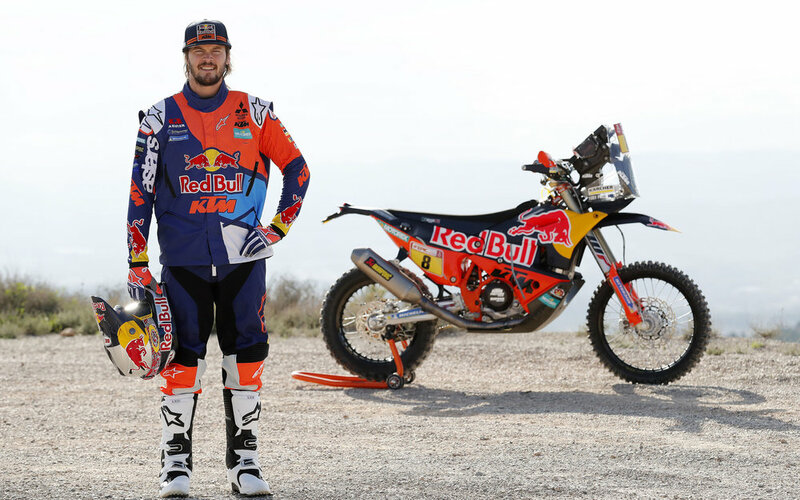 The Red Bull KTM Rally Factory Racing team are entering the final stages of their preparations ahead of the 2018 Dakar Rally – the 40th edition of the event, staged this year in Peru, Bolivia and Argentina. Competing on the all-new KTM 450 RALLY, the official four-rider line-up of Sam Sunderland, Toby Price, Mathias Walkner and Antoine Meo are currently all busy training hard ahead of the gruelling annual event. Following an intense year of racing, training and preparation, the Red Bull KTM team of Sam Sunderland, Toby Price, Matthias Walkner and Antoine Meo are now all but ready to begin their individual quests to claim KTM’s 17th consecutive Dakar bike class victory, and take on the challenge of the longest and toughest event on the cross-country rallies calendar. Following two years of development and a rally win on its first competitive outing, the all-new KTM 450 RALLY is also ready to face the challenge of the 2018 Dakar. Officially launched at the recent EICMA show in Milan, resplendent in its Red Bull livery, the bike boasts many performance improvements over last year’s model. A new engine and management system gives the riders more accurate throttle response, a new chassis and swingarm provides sharper handling and newly designed fuel tanks and bodywork ensure the bike feels slimmer and is more maneuverable. 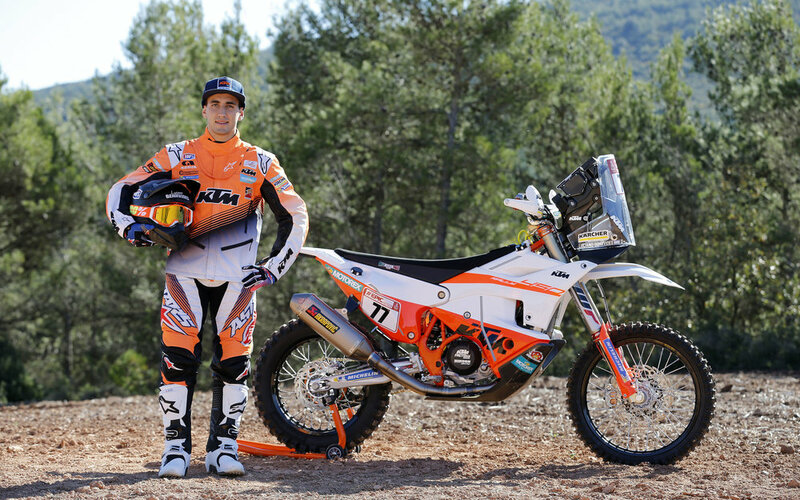 Proudly displaying the number one plate on the new KTM 450 RALLY, Sam Sunderland will return to the Dakar as defending champion. 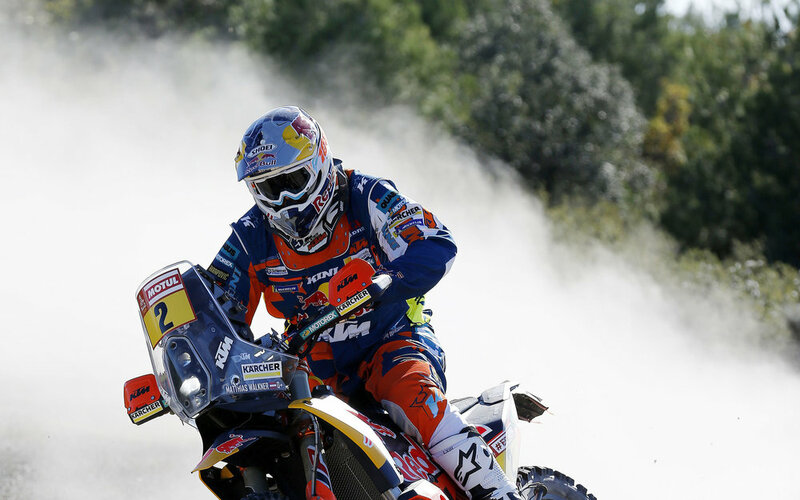 The British rider’s fight for the 2017 FIM Cross-Country Rallies World Championship went right down to the final round where unfortunately he was forced to retire after picking up a small injury on the second day. Now fully fit and confident of a good result in South America, Sam will be fighting to repeat his success of 2017. Sunderland: “I am feeling really positive. I’m feeling really fast and strong on the new 450 - my fitness is good at the moment and I have no injuries. We have had the final shake down test on the new bike and it went very well. There’s always a lot of work and preparation in the last couple of months on the run up to Dakar. Trying to balance all the factors of testing, training and traveling always makes for a busy time before Dakar. Walkner: “It’s been a long year and a season of ups and downs for me. To finish the championship on a high and on a bike that suits me so well is a massive confidence boost. My feeling on the new bike allows me to push that little bit harder and it has taken my riding to the next level. 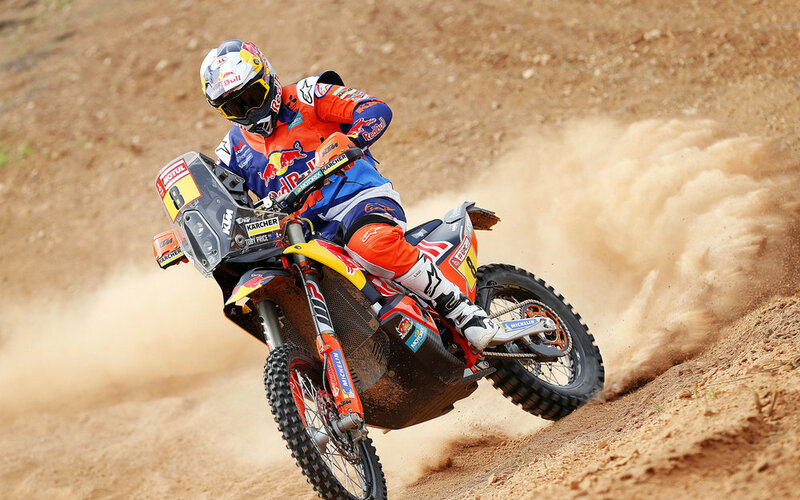 Claiming a strong fourth place finish on his return to racing at the final round of the Cross-Country Rallies World Championship, Antoine Meo surprised even himself with his pace. 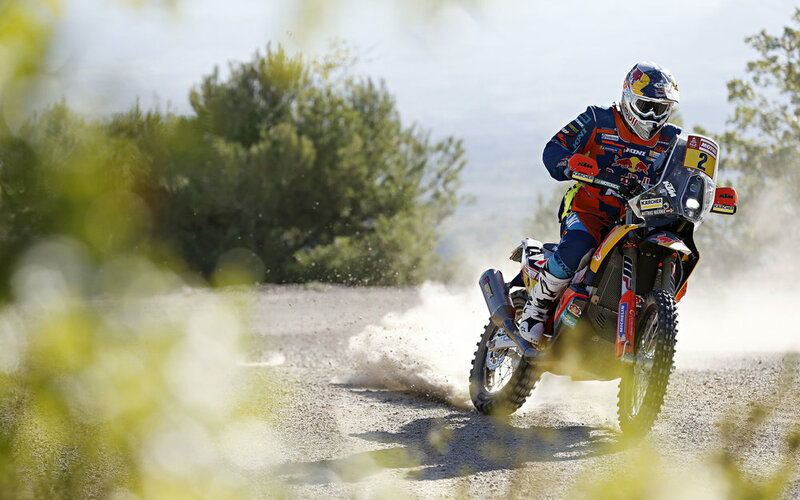 The last two seasons have been difficult for the Frenchman following the injuries to his wrists sustained during the 2016 Dakar. The four-time Enduro World Champion is looking forward to Dakar 2018 but knows he still has some work to do before he is ready to take to the start line in Peru on January 6th. Meo: “This year has been tough. After missing the 2017 Dakar due to having corrective surgery at the beginning of the season I came back for the races in Abu Dhabi and Qatar, which was possibly too soon. After a break during the summer, I came back again to race the OiLibya Rally in Morocco. I surprised myself as I immediately felt at home on the new bike and was able to fight for the podium. Running from January 6 to 20, 2018, the 40th edition of the Dakar Rally will see over 500 competitors cover 10,000km during 15 days of racing. The 2018 event will be the 10th edition to be held in South America and will cross the three countries of Peru, Bolivia and Argentina.